Yinran Huang completed her practicum field work for her MSW at Washington University in St. Louis with Maji Safi Group this summer. Yinran was born and raised in China where she received a Bachelor of Marketing and Management from the Shanghai University of International Business and Economics in 2014. After working for several years with different marketing companies in China, Yinran decided that she wanted to focus on social work and began her MSW in 2016. MSG enjoyed welcoming her to Tanzania, and we are excited to bring you her blog reflecting on her experience. Have you ever wondered how MSG helps normal households gain access to safe drinking water, proper sanitation and hygiene in an affordable way? Well, here come the answers. With the partnership of AfriPads and Population Services International (PSI), MSG has introduced several cost-effective products for program participants and local communities, including WaterGuard, water filters, reusable sanitary pads, and Arborloo toilets (see our previous blog for more information). In Shirati, lacking financial resources is one of the key barriers to implementing good WASH practices within household settings. Many people still drink untreated water and rely on crude, improvised materials to manage their menstruation because they cannot afford or access proper WASH products. Now, normal households in Shirati have more choices for getting clean water, cheaper sanitation solutions, and female hygiene products. Let’s begin with water. In Shirati, accessing drinking water can be costly and time-consuming. 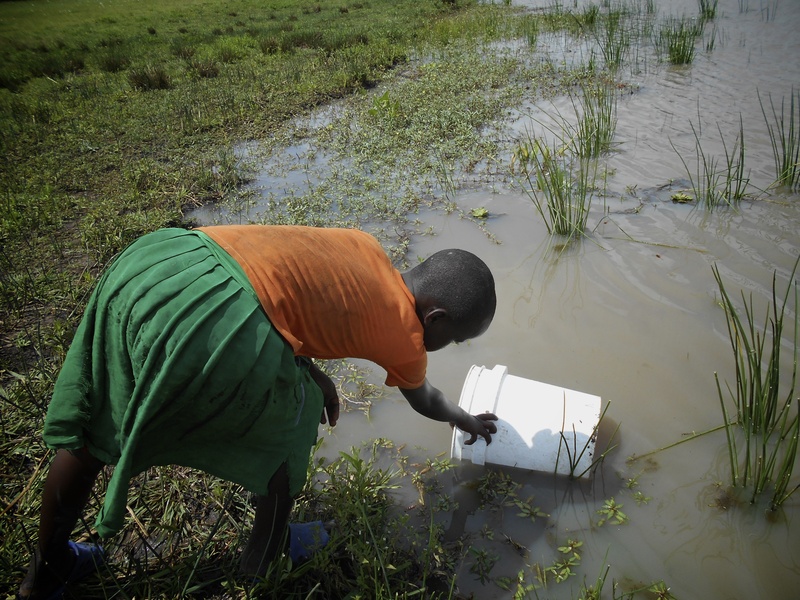 Surface water sources, such as ponds, rivers and Lake Victoria, are usually free but unimproved/unprotected and often far from dwellings. Groundwater, on the other hand, is a much safer but a more expensive choice due to the cost of drilling the well. So, most people fetch water from surface water sources every day, and the most common way of purifying water is boiling. However, the sustainability of this method is questionable as the cost of firewood/charcoal/gas is high, and people must wait for the water to boil and cool down before use. Thus, WaterGuard and water filters offer normal households a more convenient alternative for water treatment. 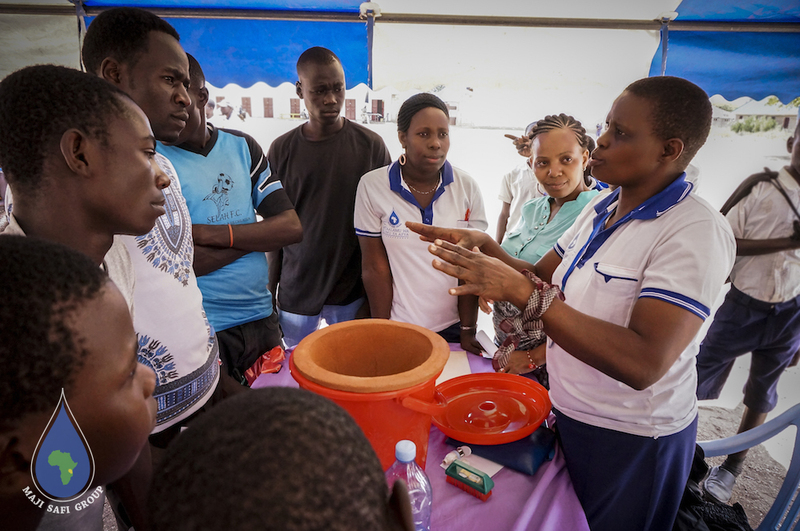 WaterGuard is a chlorine water treatment tablet provided by Population Services International (PSI), Tanzania, and one of MGS’s recommended water treatment methods in Shirati. The chlorine tablets offer an alternative to boiling water. Chlorine is released when a tablet is dissolved to disinfect the water and prevent water-related diseases. Each tablet can treat up to 20 liters of water, which will satisfy a typical household’s minimum daily requirements for clean drinking water. Two tablets are needed if the water is very dirty. After adding the tablet, the water must sit for 30 minutes. 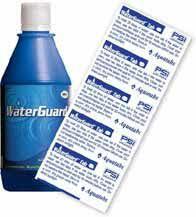 WaterGuard is sold either by the strip with 10 individually sealed tablets (500 TSH = $0.25) or in boxes with 12 strips (6,000 TSH = $3). 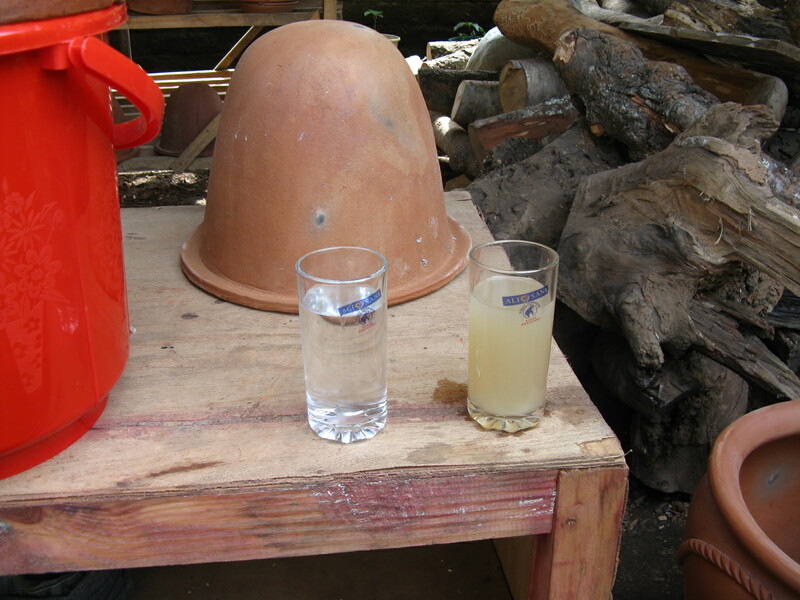 Thus, flexible purchasing choices allow consumers to access safe drinking water with minimal disposable cash on their hands, and WaterGuard is more time- and cost-effective than having to gather firewood or buy charcoal. The Maji Salama Ceramic Water Filter is manufactured and distributed by Safe Water Ceramics of East Africa (SWCEA). The Maji Salama filter tested at a 99.99% microbiological effectiveness rate with a life of at least five years, according to SWCEA’s official website. The clay filter is placed in a food-grade plastic storage bucket with a spigot at the bottom for dispensing the filtered water. With a rate of 1 to 3 liters per hour, depending upon the volume of water in the filter, a single filter can provide enough safe drinking water for up to 6 people. In MSG’s office, several water filters provide a safe, reliable, and convenient drinking water resource for all staff members and program participants. 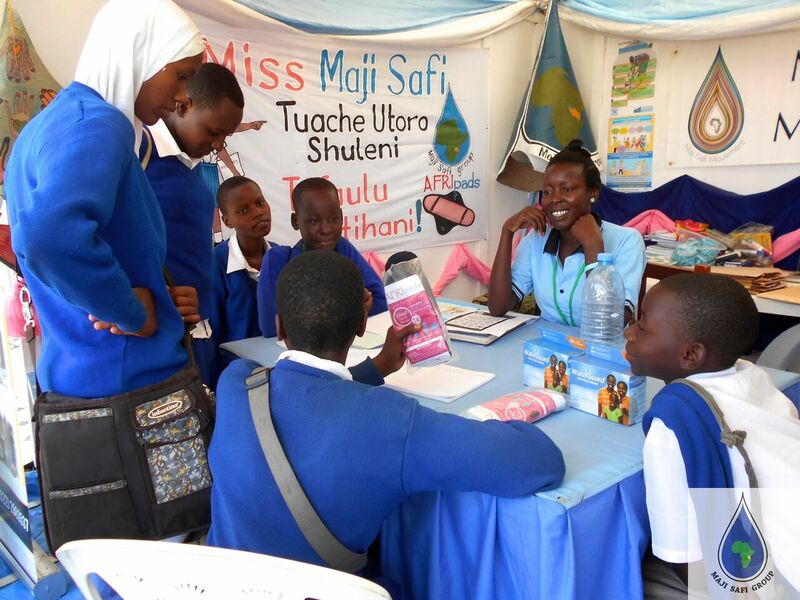 MSG noticed that the poor hygiene situation in Shirati is exacerbated by a lack of knowledge about menstruation and the use of poor solutions, like rags, instead of proper feminine hygiene products. In response, MSG’s Female Hygiene Program promotes proper menstrual hygiene management (MHM) education through culturally sensitive communication. The program is active in several primary and secondary schools in the Rorya District, and a small group seminar is held every Saturday afternoon at the MSG office. The classes give adolescent girls the opportunity to discuss female hygiene-related experiences and ask questions in a safe and supportive environment. By educating adolescents, MSG plays an essential role in also educating adults and the community in general. Children and adolescents serve as agents for change because they take the knowledge and good practices learned from MSG’s Community Health Educators back home. Hygiene education is thus transferred from MSG’s programs to families and communities where many have no other access to formal education about hygiene and sanitation. Maji Safi Group partners with AfriPads and introduces their reusable sanitary pads in the Female Hygiene Program as an alternative to disposable pads with at least two comparative advantages: affordability and waste reduction. AfriPads is a cost-effective and environmentally friendly choice. With proper care, the AfriPads can last at least 12 months. Instead of using 195 disposable pads, only four reusable sanitary pads can satisfy a girl’s needs for a whole year and thus help her save a significant amount of money. 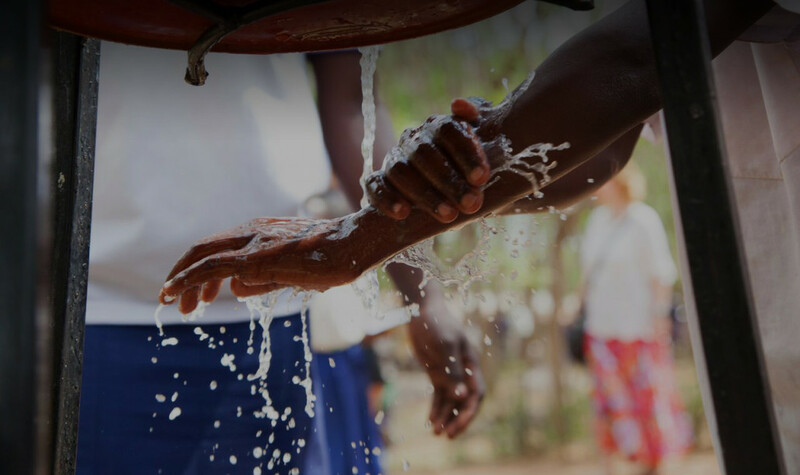 Given the massive cost associated with healthcare, disease burdens, loss of productivity and labor capital, investing in WASH-related products will not only result in a large range of economic and social benefits but also be more cost-effective in the long run. MSG’s dedicated work gives people easy and affordable access to WASH supplies, resulting in healthier families and communities.